Stand Out in Local Search and Generate High Quality Leads. Digitally Savvy’s Local SEO process helps your brand become highly visible to your target audience, every time they search for a local business to address their needs. 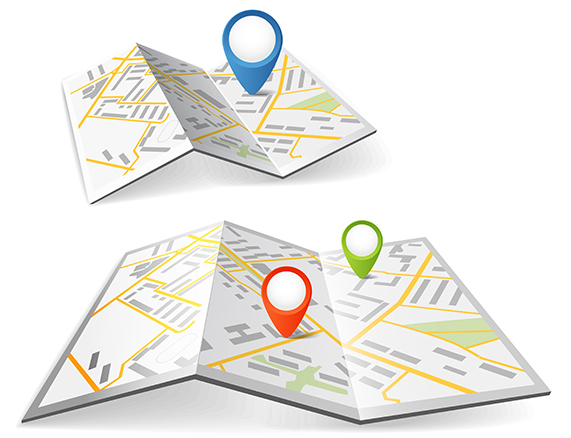 Optimizing Google Maps and Local Directories, we will help drive targeted local visitors who are located near you. Your customers’ online search behaviour continues to evolve, and location-specific searches are become more and more important. A majority people start their search for a local product or service provider online. Our Local SEO program ensures that your website is optimized for location-specific searches across mobile, tablet and desktop devices, as well as for device location-aware searches through mobile and tablet devices so that your brand be be found by the right person at the right time. If your business has multiple locations, you’ve found the right Local SEO partner. We have extensive experience in this area, having helped brands such as Expedia and The Keg. We can create and execute a consolidated Local SEO strategy that will help each of your locations get increased visibility with potential clients and help them decide to patron your business. Local searches have high purchase intent, and Digitally Savvy can help you turn these searches into additional revenues for your brand. We start by doing an in-depth Local SEO audit. This shows the plan of action to create or optimize your presence on Google My Business, Yahoo and Bing Local, and all relevant social media platforms to ensure consistency in your online messaging. The audit also explains the process we will follow to optimize the location-specific landing pages you have on your website and create new ones, as needed. We essentially provide a plan of action for both short and long-term local search growth, and establish a cohesive plan to increase your local rankings and help convert the traffic into leads. We begin by reviewing all of your current citations and making any necessary corrections. We will then find all the available citation opportunities available to your business through the use of directories, maps, images and videos. We will analyze all your top competitors to make sure your business will capitalize on all their existing citations. We optimize your website by including your NAP (name, address, phone number) in key sections and developing landing pages to capture relevant, high quality traffic. We add relevant images with the right file names and conduct numerous other updates to ensure the optimum local search engine optimization of your website. After optimizing your website, we optimize your Google+ and other social media profiles profile, and claim your business listing on a large number of general and industry-specific websites. Every Digitally Savvy client benefits from the continuous improvement culture we’ve established to serve the brands that trust us for their local organic search presence. We track your Local SEO program’s performance on an ongoing basis, have regular calls with you to keep you in the loop on our optimization efforts, and deliver monthly reports to explain in detail the change your brand is seeing in terms of online visibility, traffic and leads. We’re here to help you succeed and adjust our Local SEO efforts to drive the biggest brand visibility and revenue impact possible. More Traffic & Leads from Location-Specific Organic Searches.